Find Auburn, GA Condos for sale. View Photos, Maps and MLS Data Now! Convenient To Both I-85 & Hwy316. This One Won'T Last! 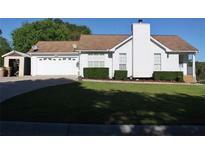 MLS#6537570. Re/Max Center. Finished Basement Has Full Kitchen And Full Bathroom And Could Act As A Separate Apartment With Private Entrance Making It Easily Rentable. On A Quiet Cul-De-Sac Street! MLS#6536267. Chafin Realty, Inc.. Mineral Spring Crossing - Located In One Of Ga'S Top Rated School Districts, This Is Home Is The One! Offered At 275K. MLS#6536245. Palmerhouse Properties. Whitfield Estates - Easy Access To I-85 & Close To Publix, Kroger, & Mall Of Georgia! MLS#6535900. Redfin Corporation. Close To Local Schools. Come View This Home Today! MLS#6536052. Offerpad Brokerage, Llc..
Pristine 5 Bed / 4 Bath Home In Wildflower Park * New Roof * 2 Newer Hvac Units * Grand 2 Story Foyer * Formal Dining Room * Library/Study * Custom Trim And Crown Molding * Great Room * Gas Log Fireplace * Built-In Bookcase * Coffered Ceiling * Gourmet Kitchen * Breakfast Bar * Island * Keeping Room * Beamed Ceiling * Oversized Master On Main * Sitting Area * Spa Bath * Jetted Tub * Walk-In Closet * Guest Ensuite On Main & Upper Level * Large Secondary Bedrooms * Huge Bonus/Media Room * Daylight Terrace Level * Covered Deck * Patio * Irrigation System * Private Backyard MLS#6534851. Exp Realty, Llc.. Roof 2Yrs, Heat/Air 6Yrs! This One Won'T Last! MLS#6535428. Re/Max Center. Wildflower Park - From The Screened Porch This Lot Overlooks Green Pastures And 2 Fishing Ponds. MLS#6532840. Lifetime Investment Realty Llc. Wynfield - Wander Onto The Deck That Overlooks The Private Backyard While The Rest Of The Group Takes A Dip In Your Pool, Forget About The Beach This Summer And Enjoy This Beautiful Home. MLS#6532933. Berkshire Hathaway Homeservices Georgia Properties. Stacked Stone Fireplace In Family Room. MLS#6532317. Re/Max Tru. Country Settings With Mall Of Ga Just 10 Mins Away. MLS#6531891. Chapman Hall Advantage Realtors. Brookside Crossing - Seller Will Provide A 1-Year Home Warranty Through Americas'S Preferred Home Warranty. MLS#6531897. 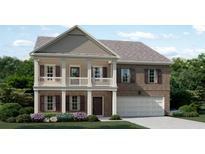 Peggy Slappey Properties Inc..
Wildflower Park - 3 Car Garage All On A Premium Lot With Open Space On One Side. MLS#6531053. Virtual Properties Realty.Com. Mineral Spring Crossing - Minutes Away From Mulberry Park And Mulberry Elementary School. MLS#6531212. Pend Realty, Llc..
No Neighborhood Or Hoa! Plenty Of Space For Storage. MLS#6527899. Double Jb Investments, Llc..
Whitfield Estates - This Weekend Please Set Up The Appointment At Least 1 Hour Before Visiting The Property. MLS#6531615. Palmerhouse Properties. Laundry Up. Under Construction. Sample Images. MLS#6530712. Chafin Realty, Inc..
Roomy Deck Overlooking The Massive Backyard. MLS#6530251. Redfin Corporation. Convenient To Hwy 316, I-85 And Mall Of Georgia. Welcome Home To Brookside Crossing! MLS#6530340. Hill Wood Realty, Llc.. Seller Will Contribute $3000 For Closing Costs. MLS#6530622. Virtual Properties Realty.Com. Laundry Up. Under Contruction. Sample Images. MLS#6529816. Chafin Realty, Inc..
Will Qualify With All Types Of Financing, Most Work Is Updating And Cosmetic. This Home Won'T Last Long! MLS#6529838. The Homestore, Llc.. 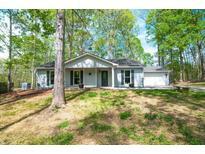 Enjoy Quiet Country Living Along With Proximity To Downtown Auburn, Shops And Restaurants Of Hamilton Mill, Within 5 Miles Of Chateau Elan, Golf Courses, Public Parks, Trails, I-85 And Hwy 316. No Hoa. MLS#6528957. Keller Williams Realty Atlanta Partners. Brookside Crossing - Upgraded Lighting In Kitchen & Dining Room. MLS#6528507. Coldwell Banker Residential Brokerage. Brookside Crossing - Open-Concept Plan W/ Modern Interior Finishes: 10X16 Covered Back Porch W/ Gas Grill Connection, Wood Stained Front Door, 42" Antique White Kitchen Cabinets W/ Shaker Doors, Stainless Appliances W/ Gas Cooking, Granite Kitchen & Bathroom Counters, Gray Laminate Flooring, White Stained Brick Fireplace Hearth, Cedar Mantel, Tile Bath Floors, Tile Master Shower, Coffered Ceilings, 2-Piece Crown. 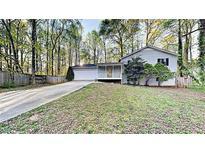 MLS#6527997. Peggy Slappey Properties Inc..